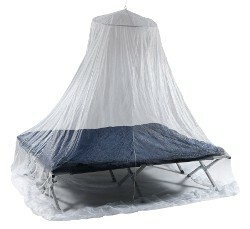 Fine mesh, large mosquito net complete with hanging frame and fixings to keep mossies and other bugs off while you sleep. Large size fits comfortably over single bed. 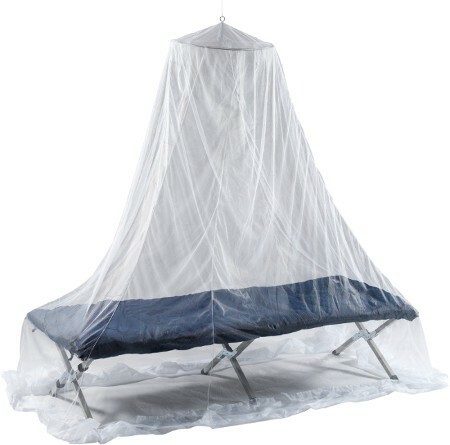 Easy Camp Mosquito Net kit includes hooks, safety pins, nail and extra rope to cover a range of hanging options over the bed in a tent, awning, dorm, hotel or lodge. Single size mosquito net has circumference 580cm so fits beds up to 200 x 90cm and is 230cm tall so works with any height ceilings. Packs down to only 26 x 31 x 8cm and weighs just 371g so it can be fitted easily in your luggage.